What if the facts on which we base our lives are shown to be unreliable? What if our expectations are confounded? What if we let go of those assumptions and expectations? What if we let go of our familiar, habitual ways of thinking? What if we let go of the very need to know? 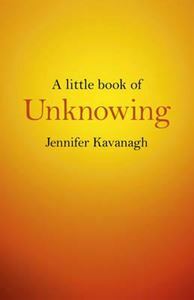 Unknowing is at the centre of spiritual life. It is only by creating a space in which anything can happen that we allow God to speak; only by stepping back that we allow space for that unpredictable Spirit that brings us gifts beyond any of our imaginings..."God dwells only where man steps back to give him room."